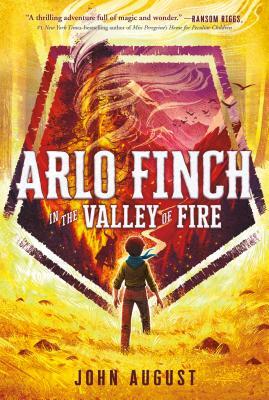 Arlo Finch in the Valley of Fire is the first book in a spellbinding middle grade fantasy adventure series by screenwriter John August. Arlo Finch is a newcomer to Pine Mountain, Colorado, a tiny town of mystery and magic, but he's already attracted the attention of dark and ancient forces. At first he thinks these increasingly strange and frightening occurrences are just part of being in Rangers, the mountain scouting troop where he learns how to harness the wild magic seeping in from the mysterious Long Woods. But soon Arlo finds himself at the center of a dangerous adventure, where he faces obstacles that test the foundations of the Ranger's Vow: Loyalty, Bravery, Kindness, and Truth.